For Karen Ellis, making and taking opportunities to change her career path is the secret to her success. When the “regular” restraint techniques used at her clinic didn’t work for her, Summer Brooks knew there had to be a better way of handling patients—for them as well as for herself. Adding digital microscopy to a veterinary practice can greatly enhance recordkeeping and serve as a valuable tool for client education. This article provides an overview of the benefits of this technology and some useful resources for learning more. Ingestion of high doses of sildenafil, which is used in both human and veterinary medicine, can affect heart rate and blood pressure. This case report describes the mechanism of action of sildenafil, along with recognition and management of a typical case of sildenafil exposure. Depression, burnout, and compassion fatigue are all too common concepts in veterinary medicine. But have you heard about compassion satisfaction? Read this article to learn more. Since 2002, the annual number of cases of xylitol toxicosis reported to the ASPCA APCC has risen into the thousands. This article gives an overview of the signs, clinical effects, and management of this increasingly common toxicosis. Ferret Dentistry: No Weaseling About It! As with cats and dogs, periodontal disease in ferrets may go unnoticed by owners; therefore, many ferrets end up silently suffering from oral pain. 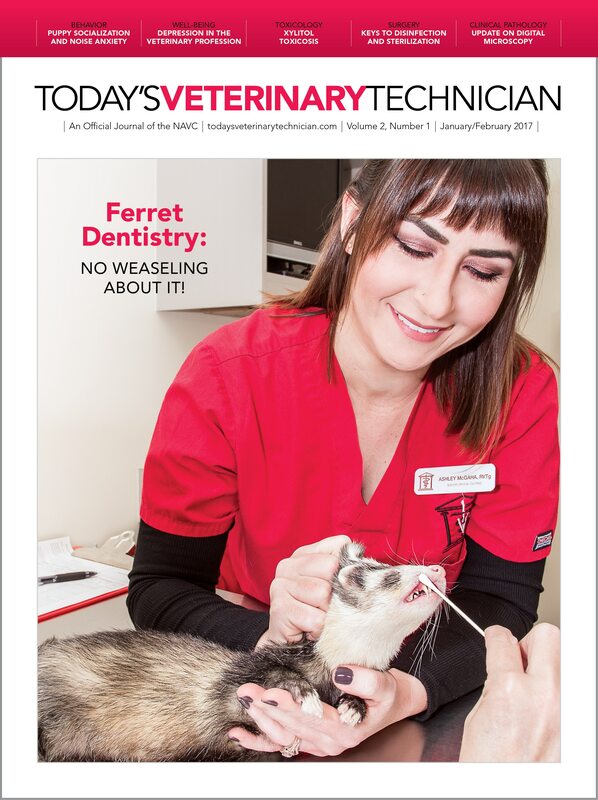 Although it may be a challenging task, all ferrets need an annual oral examination, and ferret owners need education on oral care for their pet. Depression is one of the most common mental health disorders in the United States and is strikingly prevalent in the veterinary community. Get tips on how to differentiate depression from burnout and how to find help for yourself or your coworkers.